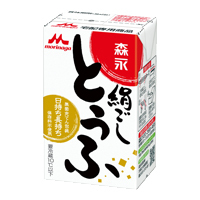 Morinaga Milk’s long-selling "Creap (creaming powder)," condensed milk, "Morinaga Silken TOFU (Long-Life-TOFU)" manufactured by patented aseptic technology, etc. 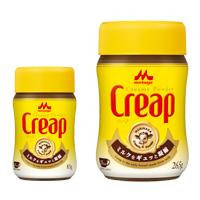 Creap is Japan’s only creaming powder product made from milk*. The product was released as Japan's first powdered cream in 1961. 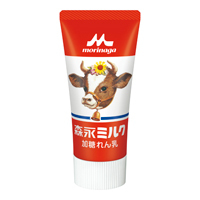 Condensed milk packaged in a tube for easy-use by everyone, from children to the elderly. Our aseptic packaging technology eliminates the need for preservatives and protects the smooth and soft texture and taste of TOFU for long periods.